Searching for optometrists in Peabody, MA does not have to be a painstaking process. Two of the most important things to look for are experience and thoroughness. When it comes to eye health, nobody should make sacrifices in either of those areas. Parrelli Optical is a company that ranks high in both experience and excellence. The optometrists and supporting staff members at Parrelli Optical have been trained to uphold the excellence in care that the business is known for. 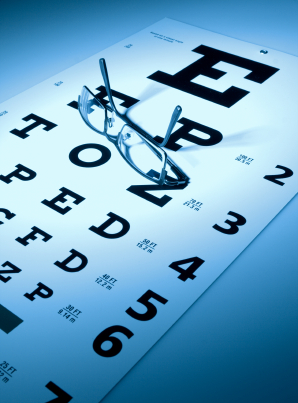 Using the latest technology, our optometrists perform thorough and comprehensive eye exams. Whether you need glasses or contacts, our professionals will take the necessary time to ensure your prescription is accurate and the contacts or glasses you choose fit perfectly. While prescription accuracy is one of the most important fits to us, we also place a high importance on helping you choose contacts or glasses that fit your style. Whether you have poor eyesight and wish for thinner lenses on your glasses or you have dry eyes and want more comfortable contacts, our problem-solving doctors will help you find what you want. Whether you have had to use corrective lenses before or not, it is important to have regular eye exams. An eye exam can reveal much more than just vision problems. We have thousands of contacts and glasses to choose from and will help you find the right products for your needs. To see one of the best optometrists serving Peabody, MA, call us today.